Cooking with Honey For best results, use recipes developed for using honey. When substituting honey for granulated sugar in recipes, begin by substituting honey for up to half of the sugar called for in the recipe. With a little experimentation, honey can replace all the sugar in some recipes. When baking with honey, remember the following: • Reduce liquid called for by 1/4 cup for each cup of honey used. • Add 1/2 teaspoon baking soda for each cup of honey used. • Reduce oven temperature by 25°F to prevent over-browning. 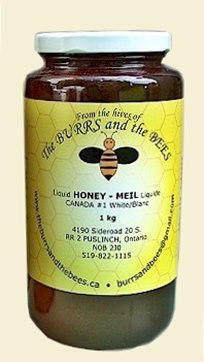 Because of its high fructose content, honey has a higher sweetening power than sugar. This means you can use less honey than sugar to achieve the desired sweetness. When measuring honey, coat the measuring cup with non-stick cooking spray or vegetable oil before adding the honey. The honey will slide right out. Why Do Bees Make Honey? We know that bees have been producing honey as they do today for at least 150 million years. 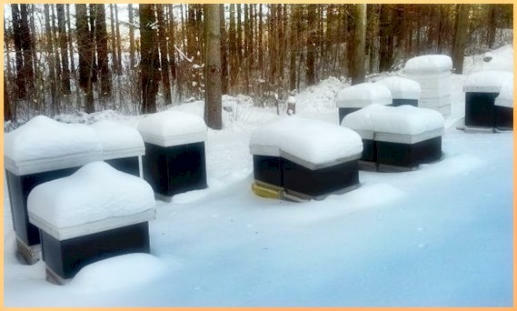 Bees produce honey as food stores for the hive during the long months of winter when flowers aren't blooming and therefore little or no nectar is available to them. European honey bees, genus Apis Mellifera, produce such an abundance of honey, far more than the hive can eat, that humans can harvest the excess. For this reason, European honey bees can be found in beekeeper's hives around the world! The Colony Honey bees are social insects, with a marked division of labor between the various types of bees in the colony. 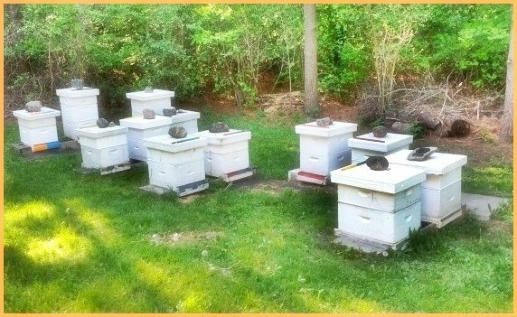 A colony of honey bees includes a queen, drones and workers. The Queen The queen is the only sexually developed female in the hive. She is the largest bee in the colony. A two-day-old egg is selected by the workers to be reared as the queen. She will emerge from her cell 16 days later to mate in flight with approximately 18 drone (male) bees. During this mating, she receives several million sperm cells, which last her entire life span of two to four years. The queen starts to lay eggs about 10 days after mating. A productive queen can lay 2,000 eggs in a single day. The Drones Drones are stout male bees that have no stingers. Drones do not collect food or pollen from flowers. Their sole purpose is to mate with the queen. If the colony is short on food, drones are often kicked out of the hive. The Workers Workers, the smallest bees in the colony, are sexually undeveloped females. A colony can have 50,000 to 60,000 workers. 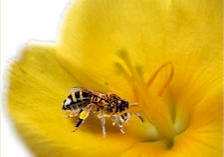 The life span of a worker bee varies according to the time of year. Her life expectancy is approximately 28 to 35 days. Workers that are reared in September and October, however, can live through the winter. Workers feed the queen and larvae, guard the hive entrance and help to keep the hive cool by fanning their wings. 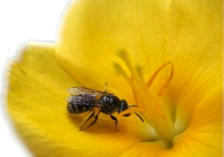 Worker bees also collect nectar to make honey. In addition, honey bees produce wax comb. The comb is composed of hexagonal cells which have walls that are only 2/1000 inch thick, but support 25 times their own weight. Honey bees' wings stroke 11,400 times per minute, thus making their distinctive buzz.